Why Start Another Agency Blog? 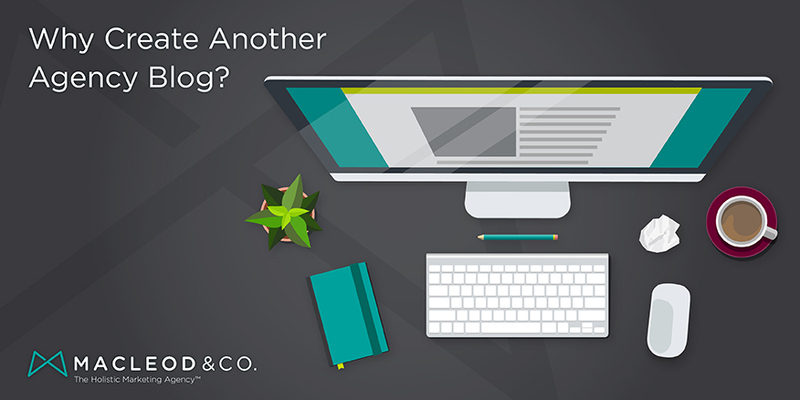 Propinquity | Macleod & Co.
Why Create Another Agency Blog? Propinquity. At its core, propinquity is the idea that the more contact one has with someone, the more likely they are to bond. More simply, in making yourself more available — whether online or off — you increase the odds that you form bonds based on shared interests. And that’s the simple reason why we’re investing the time and resources into producing an agency blog. We want to increase the ways and spaces we talk about our business, our lives, our agency, and our work. I believe in the power and value of marketing. I believe in its simplicity, and the clarity it can provide a business. It’s not string theory, but that’s not what makes it valuable. What makes it valuable is the strategy that unfolds and the business goals it drives. As someone in the game for 20 years, I’ve learned a few things. I think everyone gains when knowledge is shared. Together with my staff we’ll be exploring everything from best practices in UX design, to things we wish we’d learned years ago. Our creative director’s favorite vinyl to the latest trends in health and wellness. We hope you’ll learn something and share your own knowledge.